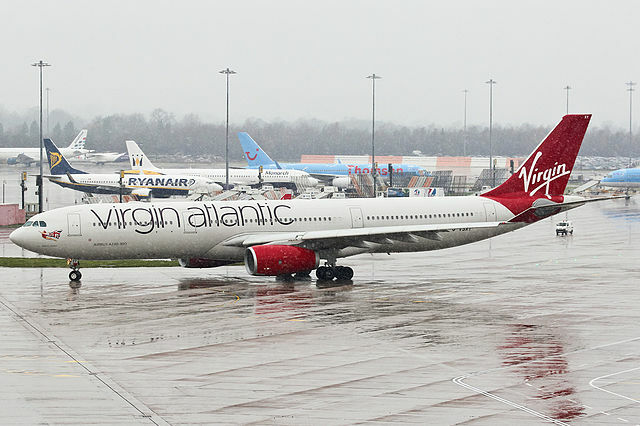 [BBC News] Birmingham Airport‘s runway has been shut after a plane skidded off it. Airport officials said the Monarch-chartered flight ZB467, from Nice in France, skidded off the runway shortly after 13:10 BST. 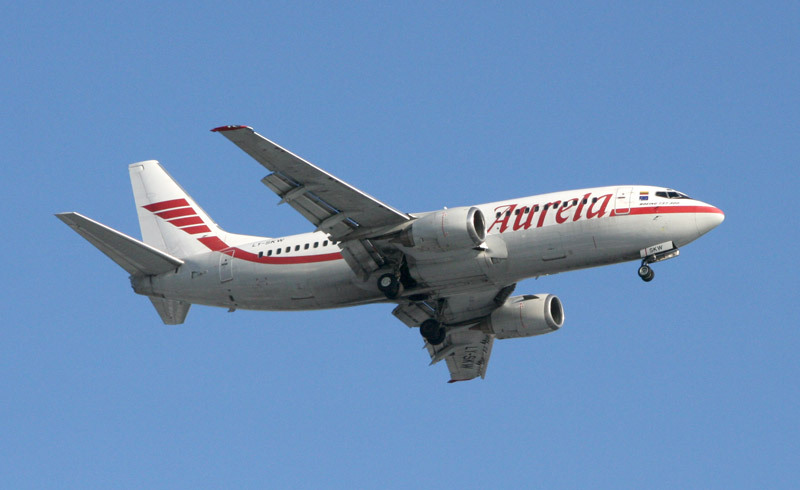 The airport said the Boeing 737 was operated by Lithuanian firm Air Aurela. Monarch said the plane was being taxied to the terminal when “one set of wheels left the taxi way bringing the aircraft to a stop”. There were not thought to be any injuries. The airport said all flights were suspended and “airfield services” were assisting the airline crew. The company said it was working with the airport to move the aircraft and help with the investigation into what happened. [Global Airport Cities] The opening of Berlin‘s newest airport, Brandenburg, has now been delayed for a further 7 months in addition to previous opening delays announced earlier in the year. Horst Amann, the new chief operating officer (COO) of Berlin Airport, has announced that the ammended opening date for the long awaited Berlin Brandenburg Willy Brandt Airport (BER), has now been set for 27 October 2013. The new date is seven months later than the previously revised opening date of 17 March 2013, and 16 months later than the originally intended grand opening in June 2012. The airport authority said that the delays will cost the gateway an additional €1.2 billion by the time it does finally open. 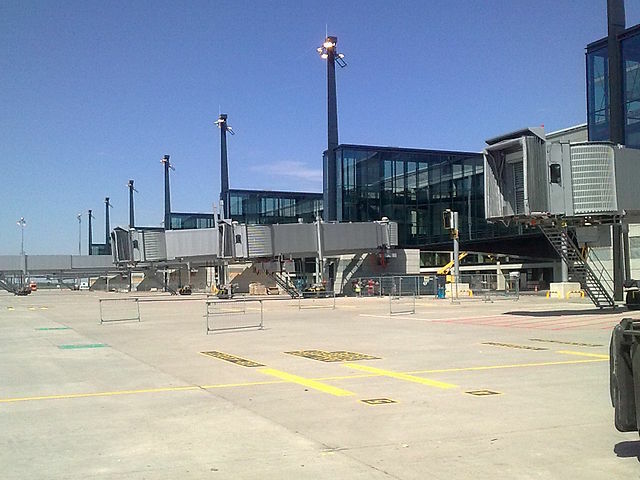 The scheduled opening of Berlin-Brandenburg Airport – designed to replace Tegel Airport in western Berlin and Schoenefeld Airport in the east – on June 3 this year was scrapped just weeks before due to problems with fire safety systems. The airport authorities said this was due to “safety concerns”, and in particular that the completion of the fire safety systems, and their subsequent structural approval, could no longer be accomplished in time. At the time airport authorities then aimed for a date of 17 March, 2013, but this also became unrealistic given the need for fresh planning and testing. According to Amann, the first priority was to “finalise all remaining actions plans”, with construction works due to resume in the autumn. Construction should then be concluded by summer 2013, so that the official approval procedures can be finalised in time for a trial period of several months, he added. 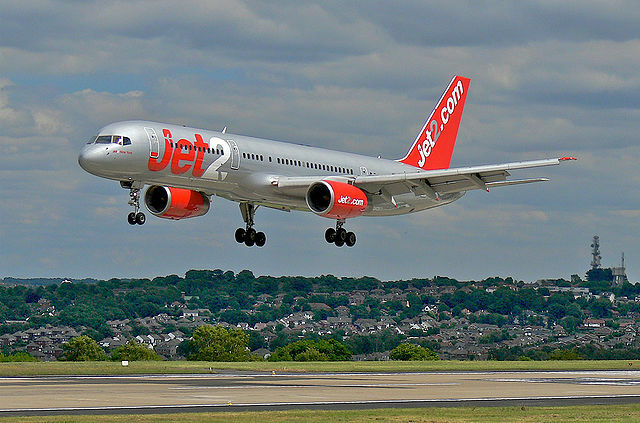 Read the full story at Global Airport Cities…..
[AOL] Two British teenagers were arrested after allegedly dropping their trousers and exposing themselves to passengers and crew on a Jet2 flight from Newcastle to Ibiza. The Daily Star reports that the men, named as Jonathan JW and Nicolas S, were arrested by armed officers from the Civil Guard after the captain called ahead to the airport in Ibiza and asked police to board the plane. The two men appeared before magistrates and could now face up to a year in prison if they are found guilty of indecent exposure. [Guardian] Proposals for night flights at Heathrow could be back on the agenda after the government said it had told the independent commission into aviation capacity to produce an interim report next year recommending “immediate actions”. The announcement will help David Cameron deflect claims he is continuing to dither over airport capacity. 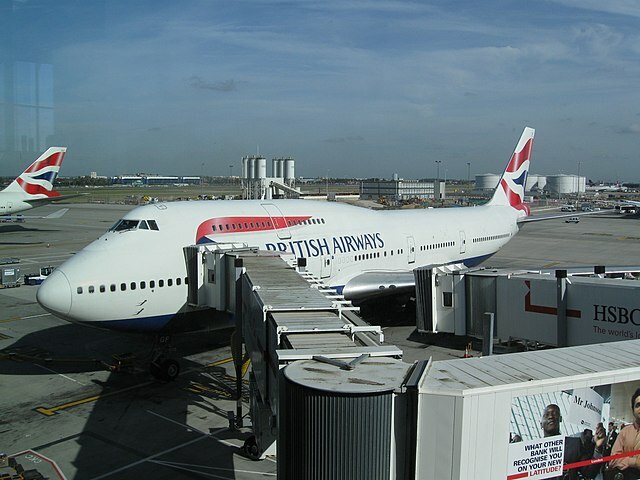 But the new timetable will reignite controversy over Heathrow well before the 2015 election and has fuelled speculation that night flights, or even dual use of Heathrow runways for both landing and takeoff – known as “mixed mode” – may be put back on the agenda. Sir Howard Davies, who is leading the inquiry, insisted he was “genuinely undecided” and “logically could not deny” speculation over any option, but said no one had asked him to examine specific questions about mixed mode, which would bring huge increases in air traffic and noise. He said he would be scrutinising even the government’s own forecasts for growing airport demand. The former boss of the Financial Services Authority and the CBI industry group , who resigned as head of the London School of Economics last year, said he believed the key to a successful inquiry was formulating the right questions. He said he would start holding hearings in the spring. According to the announcement from the new transport secretary, Patrick McLoughlin, his task is “identifying and recommending to government options for maintaining this country’s status as an international hub for aviation”. Davies said he would be recruiting no more than three or four members for the commission, including a “transport economist, but otherwise you’ll probably want people of judgment from a decent balance of backgrounds”. Names would be confirmed within seven to 10 days, he said. 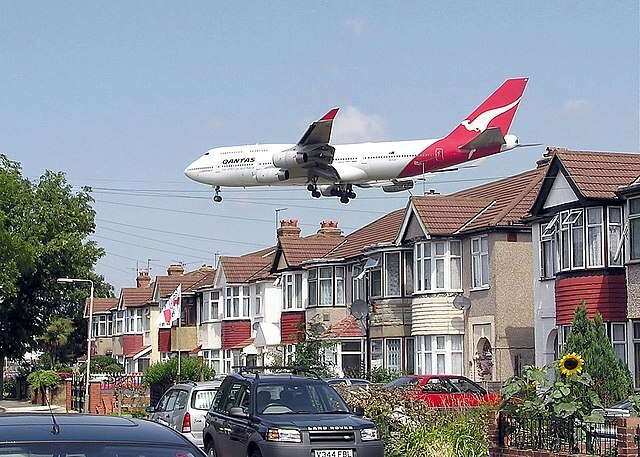 The coalition agreement rules out a third runway at Heathrow. But Cameron’s removal of Justine Greening from the transport portfolio in this week’s cabinet reshuffle, and the apparent shelving of her own planned “call for evidence”, has been taken by many as a signal that a Conservative U-turn over the building of a third Heathrow runway is in motion – albeit slowly enough and sufficiently at arm’s length to avoid the electoral fallout. Davies’s ultimate conclusions will not be delivered until 2015, after the next election. Labour supported expansion at the last election, but proposed the commission to the government a year ago, in part to overcome its own internal difficulties on the issue. Shadow transport secretary Maria Eagle said Labour would “engage constructively”. 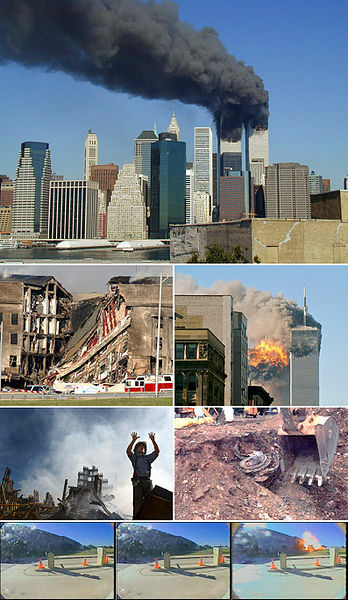 On this day, the 11th anniversary of 9/11 , it is a time for quiet reflection on the events of that fateful day all those years ago. For those of us in the aviation business today also holds a special meaning for us, for it changed all our lives. The 9/11 Memorial site will provide a live webcast of the New York City ceremony marking the 11th anniversary of the 9/11 attacks. Join them in remembering and paying tribute at 911memorial.org. The live webcast will begin at 8:30 a.m (EDT)., Tuesday, September 11, 2012. [Sky News] Police who discovered the body of a man in residential street in west London are investigating the possibility he may have been a stowaway. The man, who appeared to have suffered multiple injuries, was discovered by a member of the public in Portman Avenue, Mortlake, on Sunday morning. A spokesperson for the Metropolitan Police told Sky News they could not confirm the extent of the man’s injuries and whether this was the reason they believed he may have been a stowaway. Portman Avenue resident Joe Dodd told London’s Evening Standard: “When I got up at eight, the body was still on the pavement. They had not moved it. “We were not allowed out of our house for ages. There were police and ambulances everywhere. From where I was, it looked like he had a head injury of some kind. Tony Dixon, editor of Airliner World magazine, told Sky News that the location of the man’s body could be one reason police were pursuing the possibility he may have fallen from a plane. “Aircraft lower their under-carriage when they’re around six miles from landing so the possibility this man may have been a stowaway is a fair assessment and it has happened before,” he said. “Many people assume there is lots of space around the undercarriage when they see it retracted, but it’s not a pressurised or heated environment. A spokeswoman for British Airports Authority confirmed that Heathrow’s south runway was being used by flights that were arriving, rather than taking off, from 6am on Sunday morning. 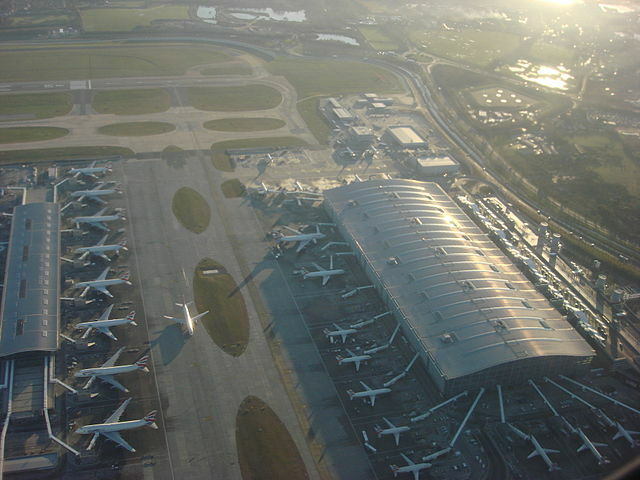 Read the full story at Sky News…..
[BBC News] The government is to look at ways to expand the UK’s airport capacity, amid suggestions the prime minister will perform a U-turn on his pledge not to build a third runway at Heathrow. A commission chaired by ex-Financial Services Authority boss Sir Howard Davies will also consider a new airport to the east of London. London Mayor Boris Johnson, who opposes expanding Heathrow, called the government’s move a “fudge”. The commission will report after 2015. Several leading Conservatives, including Chancellor George Osborne, have hinted at a rethink over a third runway at Heathrow. The controversy has intensified in recent days after Justine Greening, a fierce opponent of a new runway, was replaced as transport secretary by Patrick McLoughlin on Tuesday. Critics, including Mr Johnson, have suggested this will prepare the ground for a change of Conservative Party policy. Sir Howard, a former deputy governor of the Bank of England and director of the London School of Economics, will chair a body which will consider evidence from all sides and make recommendations to the government. His commission will publish an interim report next year but no decision is expected until after the next election, due in 2015. David Cameron faced a number of queries on aviation policy during Prime Minister’s Questions – the first since the end of the summer recess. He told MPs that large infrastructure projects were “extremely difficult for individual governments to take and to deliver”. Mr Cameron added: “What we need to do is build a process that hopefully has cross-party support so we can look carefully at this issue and deliver changes that will address the problems of capacity we will have in future years and address the issue of the hub status in the UK.”……. Read the full article at BBC News…..